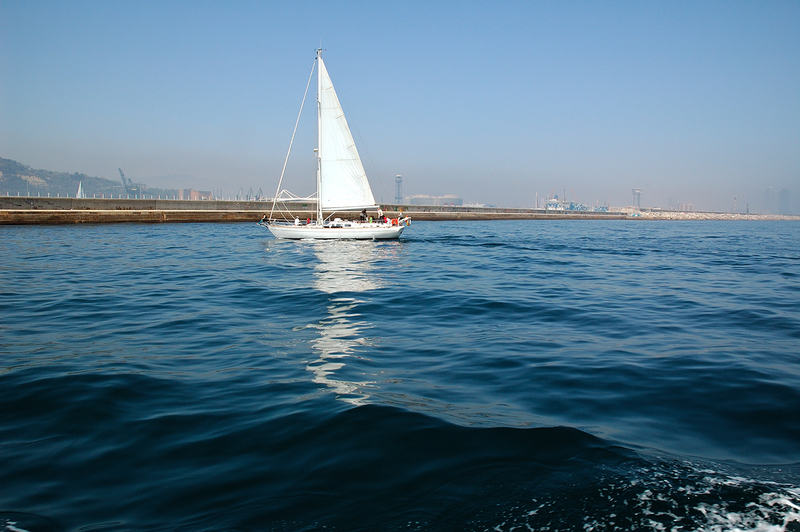 Sightseeing Barcelona city harbour and coast is one of the most gratifying experiences in our Mediterranean urbis. As in some other major cities like Paris, London or New York, taking a boat to navigate along the river or the coast in this case helps you to take visual shortcuts throughout the territory you are going to explore in the most pure discoverer or pioneer style. Sightseeing boats in Barcelona port are called Golondrinas (swallows). You get tickets and depart from Moll de la Fusta in front of the Columbus column monument and prices are not expensive considering today standards. You should know that there are the classic smaller ships which were the original vessels seafaring inside the harbour for about half an hour and more modern boats doing just that plus a cruise out of the port mouth and along the coast till the Forum area on the other side of the city and return to departure point. Last weekend I travelled on one of these and believe me the one hour and a half journey really was worth the 10 Euros I paid. I thought my fellow photo bloggers would love to take a peek too as an appetizer for a future visit. I hope you like this waterscape and the reflections on the intense blue sea. I hope that you will post more photos of this trip. The water is very blue and the reflection is wonderfully pleasant to view. Oh my, Carlos, this is a "rich" picture in colors. I really like this first wave that is black. I only seen that before in the deepest oceans.